Curling shingles- If your shingles are starting to curl or bubble, they are susceptible to breaking off in high winds, leaving your roof vulnerable. Deteriorating shingles- If you look in your gutters or at the bottom of your downspouts and notice a lot of shingle granule loss, this means the shingles are nearing the end of their life span. 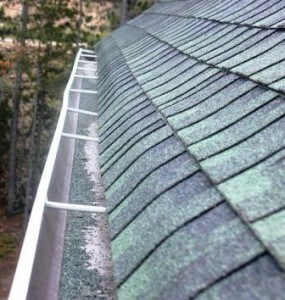 Granule loss can also be found by just looking at the shingles, such as the picture below. Missing shingles- Often times, after a heavy storm or windy day, homeowners will find shingles in their yard. This is a definite sign that the roof is in need of repair or replacement. 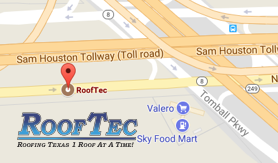 If you notice any of these problems with your roof, then it may be time to give us a call or fill out our online request form and we will be glad to come out and help determine your roofing needs and solutions.